The 2018 Leadership Collective saw our largest and most diverse group yet, with updates in technology and travel from South to North India. 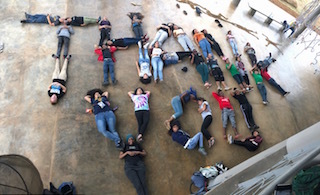 We had 33 students in total, from the US, India, Nepal, and South Africa. 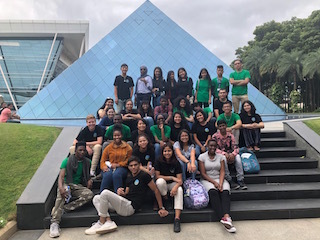 These learners represented 13 different US cities, six Indian states, four locations in South Africa, and one city in Nepal. It was the first time that learners from outside the US and India were invited to apply, and their perspectives really added to the program. The theme of the trip was Adaptive Resilience in a Changing World. 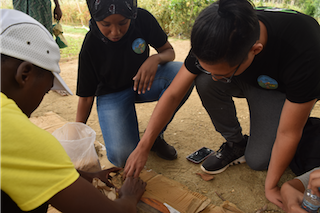 Through pre-departure assignments and experiential learning in Hyderabad, Kuppam, Bangalore, Dharamshala, and Delhi, students explore climate resilience, community and cultural resilience, and emotional resilience. The program officially ended 8th August, but our alumni daily communicate, and we’re looking forward to engaging in what they do next! Once selected, learners joined our virtual classroom for four months where they completed assignments related the theme, prepared for the trip to India, and built community. 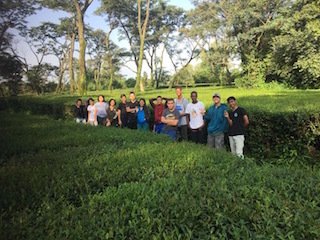 Housed in Google Classroom, learners across geographies were able to connect with each other and trip leaders. 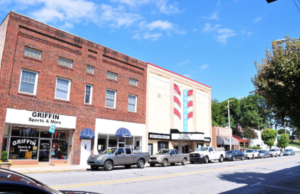 In one assignment students shared how their home communities were resilient on a thread of #mycommunity. Flying in from around the world and around India, the 2018 Leadership Collective learners met in Hyderabad, Telangana to kick off the experiential learning component of the trip. For manylearners, it was their first time flying. 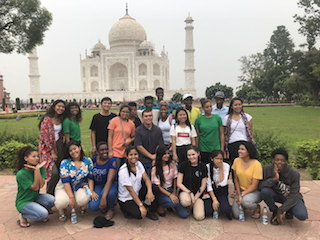 Orientation was at Dr. Reddy’s Campus, where students began to build relationships, dig into the program theme, and explore India through food and a scavenger hunt around Charminar. A highlight of this time was dinners in small groups at Dr. Reddy’s employees’ family homes. Learners enjoyed experiencing meal-time at local homes. As part of orientation, learners also participated in site visits at Dr. Reddy’s Skilling Centers and Naandi Foundation NStar centers. 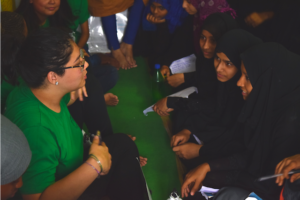 At the NStar centers, students interacted with girls of their age, sharing the challenges both groups faced. Four Indian alumni of the 2017 program joined us for Orientation as well! 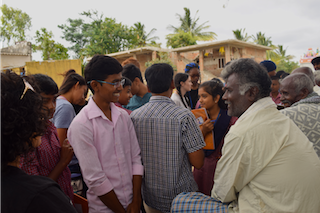 To begin our Climate Resilience learning unit, we traveled to the Agastya Foundation campus in Kuppam. Kuppam is located on the border of Andhra Pradesh, Karnataka, and Tamil Nadu. Agastya’s campus is a large learning center filled with both incredible science-learning facilities and beautiful nature. 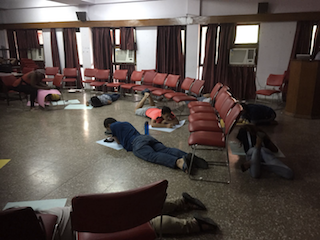 At Agastya, groups of learners were assigned a local climate-related challenge. 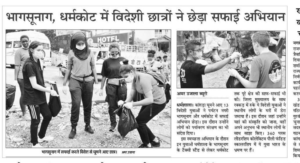 For example, one group had organic waste management while another had crop management. Each group learned about the challenge in the field, and then created a prototype to address this challenge over a few days. In the evenings, we held group discussions overlooking the campus. One night, we also visited a local after-school program. The local students and our learners had a lot of fun sharing songs, dances, and laughs. Any interaction with local students or children was a highlight for our Leadership Collective learners. On the final day, groups presented their projects in the auditorium. The organic waste management group prototyped a new composter that they made on Agastya’s 3D printer. The crop management group presented a mockup of a seed bank to understand which seeds will work well in Kuppam’s environments, for example. A day in Bangalore provided a break from rural life. 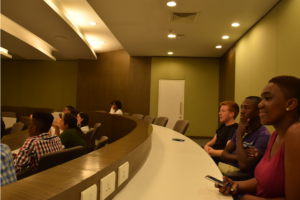 First, learners traveled to Electronic City to visit the Infosys campus. They heard from women leaders in the company and toured the campus and board room. Many learners were excited to picture what a career can look like, both in India and abroad. To cap off a big city day, we watched a Bollywood with a message and enjoyed a nice meal together at a rooftop restaurant. The first moment the learners laid eyes on the snow-capped mountains in Himachal Pradesh was something to remember! There were many moments of awe as we drove up the winding roads to Dharamshala or went on morning walks. 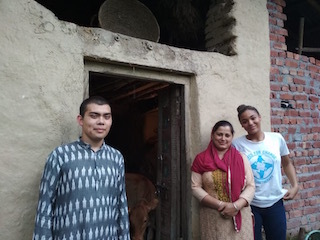 Connecting with our pre-departure assignments, learners engaged with a Tibetan activist and visited the Dalai Lama’s monastery to understand how refugees work to keep their culture in a foreign place. Thanks to a 360Plus member, learners also had a moving interaction with Dharamshala’s mayor. She shared about what she hopes for and works toward for the women of her community. We later spent the afternoon with her team picking up trash in the community. The highlight of every Leadership Collective trip are the homestays. 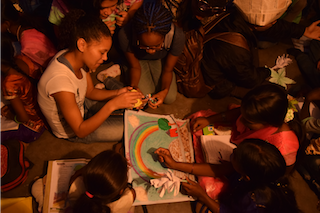 Learners spent two nights at local family homes where they helped cook, farm, and play games. Finally, we climbed up one of those awe-inspiring mountains to challenge ourselves and transition into our unit on Emotional Resilience. Closing the trip in the capital, allowed for both reflection and some final sightseeing. In Delhi, we visited Old Delhi and the nearby Jama Masjid. In Agra, we visited the Taj Mahal and Agra Fort. We also spent lots of time reflecting on the experience of the trip. 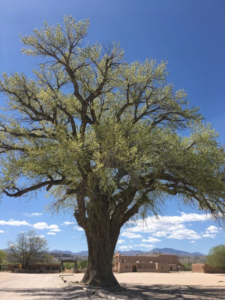 While learners posted regular blogs reflecting on the day, this was an opportunity to reflect on the trip as a whole and how they’ve grown to be more resilient themselves. One reflection activity was to spend some individual time with chart paper journaling, drawing, and processing their learnings related to the theme. Learners presented these chart papers to the group, and it was great to hear from each learner about their journey. Many tears were had with goodbyes as students parted ways to return to school, summer jobs, or college. Next year, we will continue to grow the number of students on the trip. We’d like to split into multiple smaller groups, perhaps in different locations of the country. Thanks for your support of the 2018 Leadership Collective. We look forward to our fifth year of the program next year!